World famous Mediterranean cuisine is a type of cookery found in cultures belonging to regions around the Mediterranean Sea. It includes Turkish cuisine, Greek cuisine, Italian cuisine and many more. Dalmatia is on the crossroads of east and west, benefiting from best ingredients each side has to offer. The Dalmatian cuisine found today is somewhat different from that found in the older days. Oranges, tomatoes and lemons are a recent addition to the cuisine. The culinary practices related to Mediterranean cuisine have influenced many who have conquered the Mediterranean territory and have, subsequently established empires. 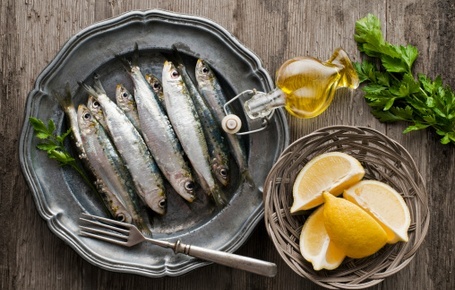 One of the famous facts about Mediterranean cuisine is the paradox – it consists of high amounts of fat, but locals have very low rates of heart disease. The use of olive oil in the dishes is regarded as the main reason for this. Lovers of Mediterranean cuisine also take a lot of pleasure in eating and it has scientifically been proven that the slower you eat, the lesser are the chances of getting fat. Maybe that can explain slow food phenomenon widely present in Dalmatia. Mediterranean cuisine has grown extremely popular over the past few decades, especially among the West, primarily due to globalization. Today, traditional Dalmatian and Mediterranean dishes are famous all over the world. It’s safe to say that they are no longer hidden gem.